Boundless can help you obtain a marriage-based green card. We make it easy to complete your green card application and avoid common problems. Learn more about what Boundless does, or start your application today. Within the employment-based green card category, multiple subcategories of workers can apply for permanent residence. In some cases, their spouses and children may qualify for a green card, as well. *Extraordinary ability is demonstrated “through sustained national or international acclaim. Your achievements must be recognized in your field through extensive documentation,” according to U.S. Citizenship and Immigration Services (USCIS). **Exceptional ability refers to “a degree of expertise significantly above that ordinarily encountered” in your field. 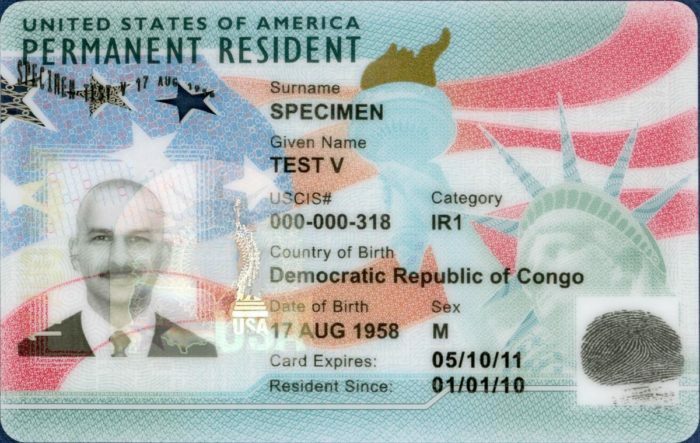 People who fear, or have experienced, persecution in their home country — because of their race, religion, nationality, political opinion, or membership in a particular social group — can seek protection in the United States by applying for a visa from abroad (to come as refugees) or from within the United States (to remain as asylees). Once they have physically lived in the United States for at least one year since receiving refugee status or asylum, they may apply for a green card. Children and spouses (and in some cases, other family members) of refugees and asylees may also seek protection in the United States under these programs and eventually apply for a green card. Victims of human trafficking who are living in the United States — whether lawfully or unlawfully (in other words, “undocumented”) — may apply for a T visa to stay in the United States for up to four years. As a condition of the T visa, however, they must help to investigate and prosecute perpetrators of human trafficking (unless the victim is under age 18, in which case they need not help with such efforts). Certain family members will also be eligible to apply for their own green cards as long as both those relatives and the victim satisfy all requirements. Victims of “substantial physical or mental abuse” who are living in the United States — whether lawfully or unlawfully (in other words, “undocumented”) — may seek protection by applying for a U visa. To obtain a U visa, the victim’s application must be certified by a law enforcement agency. Like recipients of T visas (see above), an applicant for a U visa must also agree to help investigate and prosecute people who commit certain crimes, such as kidnapping, sexual assault, and torture. They must have physically lived in the United States for at least three years since receiving a U visa. They must not have left the United States from the time they applied for a green card until USCIS has approved (or denied) their application. They must not have refused to help investigate or prosecute certain crimes from the time they received a U visa until USCIS approves (or denies) their green card application. The victim’s children, parents, siblings, and spouse will also be eligible to apply for their own green cards as long as both those relatives and the victim satisfy all requirements. Victims of domestic violence (battery or extreme cruelty) may apply for a green card that would allow them to seek relief through the Violence Against Women Act (VAWA). Although this law was created to benefit women, it applies to both women and men, and both parents and children, who are victims of abuse. IMPORTANT: If you or someone you know is experiencing domestic abuse now, contact the National Domestic Violence Hotline right away at 1-800-799-7233 or 1-800-787-3224 (TTY). You’ll be able to talk with someone about available resources, such as shelters, mental health care, and legal assistance. The hotline also provides information about green cards through VAWA. Under the U.S. “green card lottery” (officially known as the “Diversity Visa Lottery Program”), the U.S. government every year randomly selects up to 50,000 people from a pool of entries it receives from six geographic regions, such as Africa, Asia, and Oceania. Only people from countries that have had little immigration to the United States in the past — for example, Algeria, Lebanon, and Slovakia — may enter the lottery. (See the full list of countries whose citizens are eligible or ineligible for the 2020 lottery.) The share of green cards distributed to any one country is capped at 7%. Most lottery applicants live in their home countries at the time they cast their entries, but some already live in the United States under a different type of immigration status. They entered the United States before January 1, 1972, which they would need to prove by providing an I-94 travel record (officially called the “Form I-94 Arrival/Departure Record”). They have not left the United States since arriving. They have “good moral character,” meaning they have not committed certain types of crimes, such as fraud, prostitution, or murder (see more info on “Good Moral Character“). They’re eligible for U.S. citizenship through naturalization. They have not committed crimes that would make them “deportable” (able to be sent back to their home country). Examples of such violations include drug abuse, smuggling, and marriage fraud (marrying a U.S. citizen or green card holder to obtain a marriage-based green card). They have not committed crimes that would make them “inadmissible” (meaning they cannot receive a green card). Examples of such violations include entering the United States unlawfully and staying more than six months in the United States with an expired visa. Boundless helps married couples obtain marriage green cards by simplifying the application process and providing top-rated lawyer support — all for a flat price of $750, about one-fifth the cost of a traditional immigration lawyer. Learn more about our services, or start your application today. 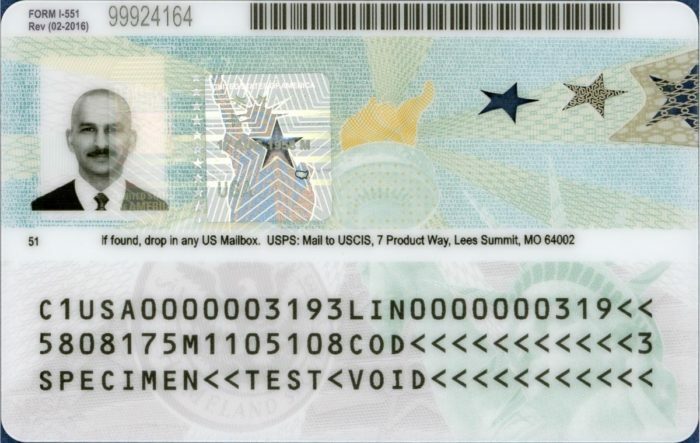 The U.S. government issues many other types of green cards besides the ones discussed above. Some of these include green cards for “special immigrants,” including media professionals, religious workers, Afghanistan and Iraq nationals who have served the U.S. government under certain capacities, and other types of workers who have served in an international organization. Others include green cards for Cuban citizens and American Indians born in Canada. USCIS provides a list of these other green card types and their eligibility requirements. If you’re considering applying for a marriage-based green card, Boundless can help. We make it easy to complete your application by turning government requirements into simple questions you can answer online. Learn more, or let’s begin!